Felix Krieger began his career as assistant to Claudio Abbado at the Berlin Philharmonic Orchestra. Born in Freiburg, Felix Krieger studied conducting, piano and music theory at the Hochschule für Musik und Theater Hamburg, completing his studies with Carlo Maria Giulini at the Scuola di Musica di Fiesole in Italy. 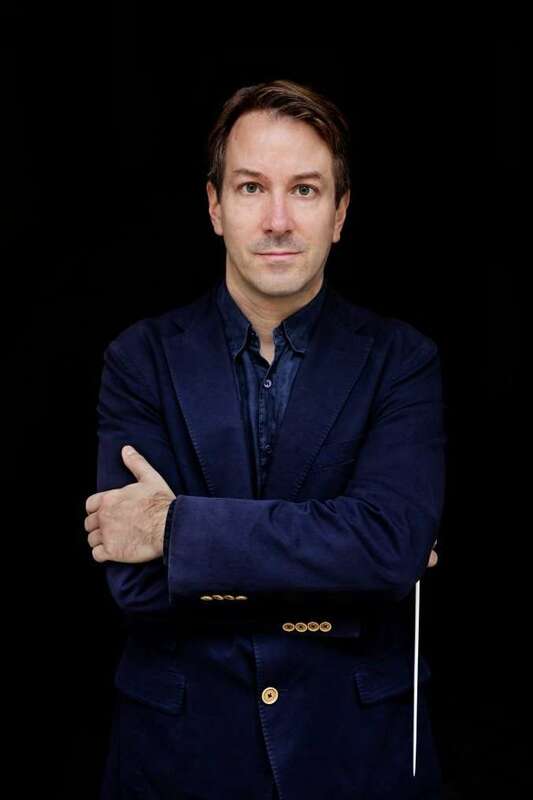 As assistant conductor and musical supervisor, he was collaborating in Stefan Herheim’s production of Parsifal (Daniele Gatti, Philippe Jordan) at the Bayreuth Festival. He is founder and artistic director of the Berliner Operngruppe, together with whom he was awarded “Ausgewählten Ort 2012” in the German competition for innovation, “365 Orte im Land der Ideen”. Focusing on seldom played Italian opera, Felix Krieger and the Berliner Operngruppe have given enthusiastically received performances, including the Berlin premieres of Verdi’s Oberto, Conte di San Bonifacio, Stiffelio and Donizetti’s Maria di Rohan, the German premiere of Donizetti’s Betly, and also Bellini’s Beatrice di Tenda, Verdi’s Attila, I Masnadieri, and most recently Verdi’s Giovanna d’Arco and Puccini’s Edgar. He has conducted many internationally renowned orchestras, including the BBC Scottish Symphony Orchestra, Chicago Symphony Orchestra, the Deutsche Symphonie-Orchester Berlin, the Staatskapelle Berlin, London Sinfonietta, the Münchener Rundfunkorchester, the Orchestre de l’Opéra National de Paris, the Stuttgarter Kammerorchester, the Bach Collegium Stuttgart / Gächinger Kantorei, and the SWR Sinfonieorchester Baden-Baden und Freiburg. He is a regular guest at major international opera houses, such as the Staatsoper Berlin, the Opéra National de Paris and the Teatro Comunale di Bologna. Further engagements have taken him to the Deutsche Oper Berlin (Swan Lake), Cape Town Opera (The Cunning Little Vixen), the Württembergische Staatsoper Stuttgart (Hansel and Gretel), the Gulbenkian Foundation Lisbon (The Magic Flute) and the Chelsea Opera Group (Francesca da Rimini, The Pearl Fishers, Idomeneo) in London. Felix Krieger was musical director of the Projeto Musica Orquestral Alemã conducting several symphonic concerts of the major German orchestral repertoire from the Baroque, Classical and Romantic periods to the 20th century in and around São Paulo. As conductor of Camerata Aberta in São Paulo, he has given numerous South American premieres of works by major composers such as Stockhausen, Henze, Rihm and Kagel. Following early engagements in the opera houses of Kassel and Bielefeld, in which he acquired a diverse operatic repertoire, Krieger conducted a successful debut ballet performance in 2003 of Schumann’s second symphony at the Staatsoper Berlin. Since then, he has conducted the Staatskapelle Berlin on numerous occasions, most recently in the premieres of Viktor Ullmann’s Der Kaiser von Atlantis, Marc Neikrug’s Through Roses and Stephen Oliver’s Mario und der Zauberer . In the last years, he has made successful debuts at Opéra National de Paris with César Franck’s Psyché, at Teatro Comunale in Bologna (world premiere of Scannavini’s La Doppia Notte – Aida und Tristan, Tchaikovsky’s Swan Lake and Stravinsky’s The Rite of Spring, De Falla’s El Amor Brujo with La Fura dels Baus), at Teatro Carlo Felice in Genoa with Lehar’s Die lustige Witwe , at the Teatro Verdi in Trieste with Mozart’s Il re pastore, and at the Opéra National de Paris with César Franck’s Psyché at Theater Lübeck for Mozart’s Cosi fan tutte. Among his 2018/19 season engagements: Verdi’s Giovanna d’Arco at Berlin Konzerthaus Mozart’s Die Zauberflöte at the Semperoper Dresden, Verdi’s Don Carlos at the Daegu International Opera Festival in South Korea, Mozart’s La Clemenza di Tito in São Paulo, the Latin American premiere of Verdi’s Stiffelio at the Opera Bellas Artes in Mexico City, Edgar at Berlin Konzerthaus. On the Sony Classical label he has recorded works by the Spanish composer Benet Casablancas (*1956) with the London Sinfonietta. The CD was released in January 2018. Felix Krieger is actively involved in music outreach work. Together with pianist Saleem Ashkar and the Deutsche Kinder-und Jugendstiftung, he founded the Al Farabi Musikakademie in Autumn 2016. Here, both local and refugee youngsters in Berlin-Spandau have the opportunity to make music together in a choir and orchestra.